The Big Wobble: The cholera outbreak in Yemen explodes to 200,000 suspected cases, increasing at an average of 5,000 a day. The cholera outbreak in Yemen explodes to 200,000 suspected cases, increasing at an average of 5,000 a day. The rapidly spreading cholera outbreak in Yemen has exceeded 200,000 suspected cases, increasing at an average of 5,000 a day. We are now facing the worst cholera outbreak in the world. 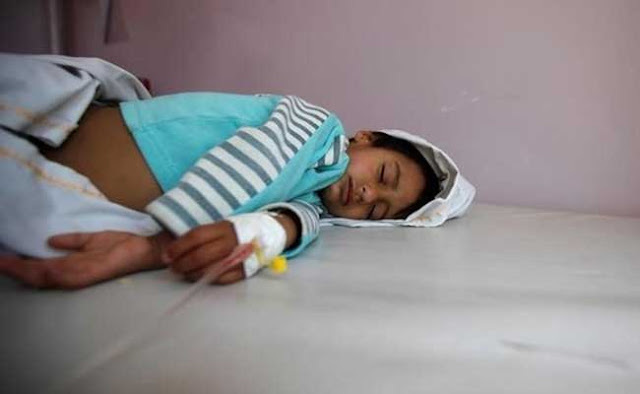 In just two months, cholera has spread to almost every governorate of this war-torn country. Already more than 1,300 people have died – one quarter of them children – and the death toll is expected to rise. Rapid response teams are going house-to-house to reach families with information about how to protect themselves by cleaning and storing drinking water. UNICEF and WHO are taking all measures to scale up prevention and treatment interventions. We call on authorities in Yemen to strengthen their internal efforts to stop the outbreak from spreading further. This deadly cholera outbreak is the direct consequence of two years of heavy conflict. Collapsing health, water and sanitation systems have cut off 14.5 million people from regular access to clean water and sanitation, increasing the ability of the disease to spread. Rising rates of malnutrition have weakened children’s health and made them more vulnerable to disease. An estimated 30,000 dedicated local health workers who play the largest role in ending this outbreak have not been paid their salaries for nearly 10 months.